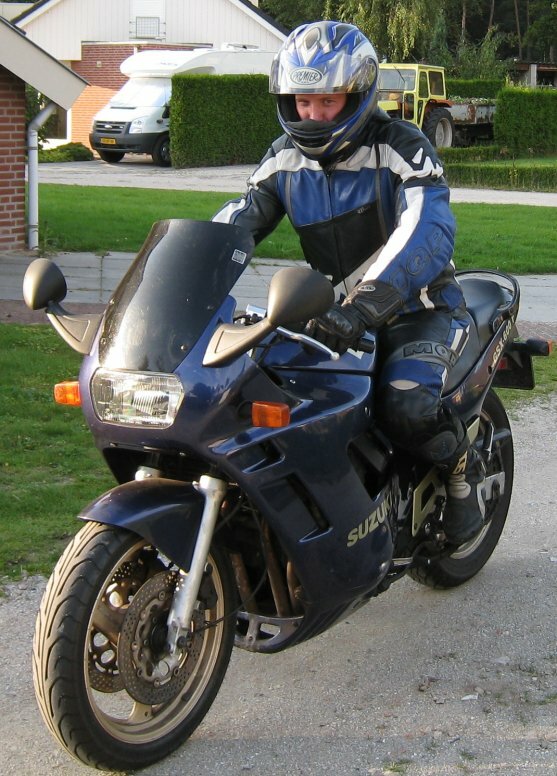 My motor bike was bought at Safe in Eindhoven in may 2001 (it now moved to Veghel (Netherlands)). 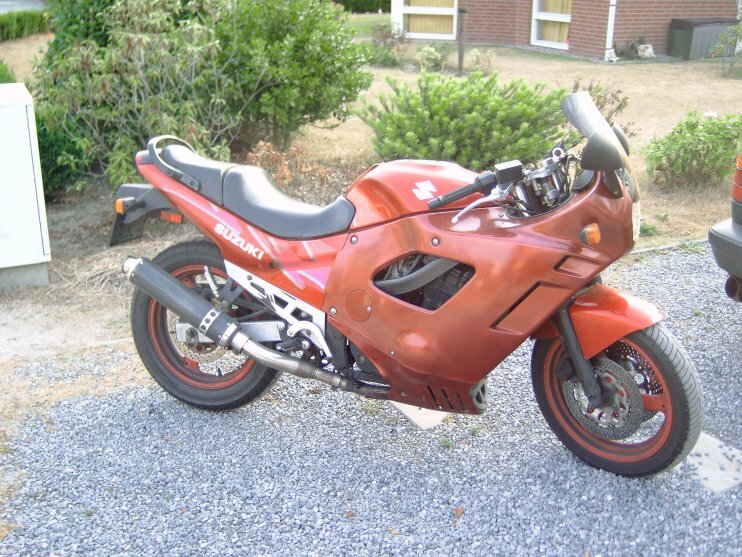 When I drove it I also crashed it fast. It was weth and I had to stop fast. 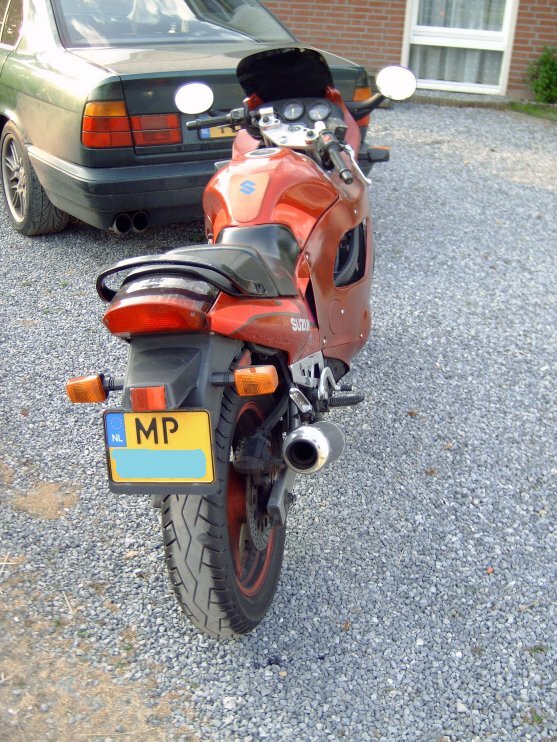 The bike went down so the left plastic parts of the bike where broken also the front lamp/mirrors were crashed. 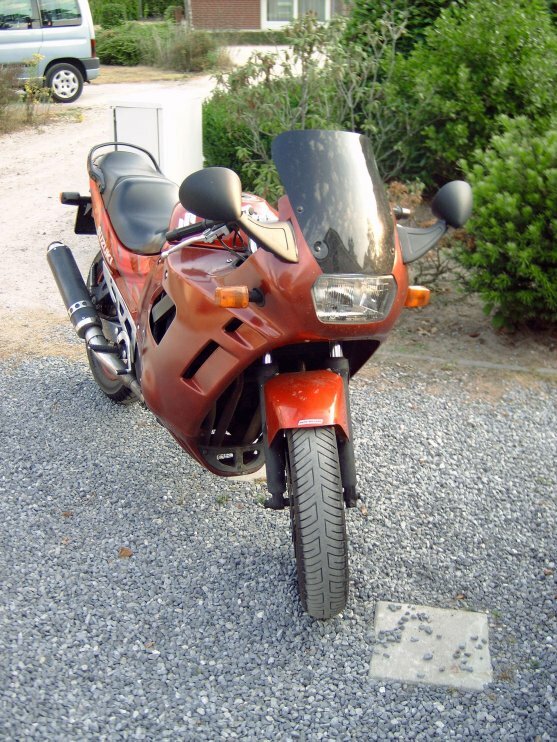 As you can see on the pictures the bike was restored completely, which cost around 500 euro. The paint job was done myself, I should have let it done. 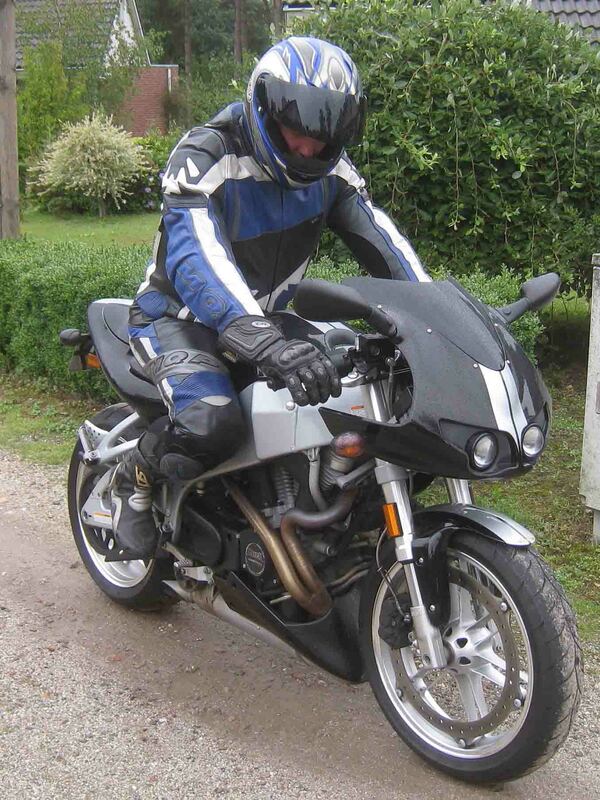 For the rest it's a nice bike, quite cheap to maintain, enough power, only high revs when riding on the highway. 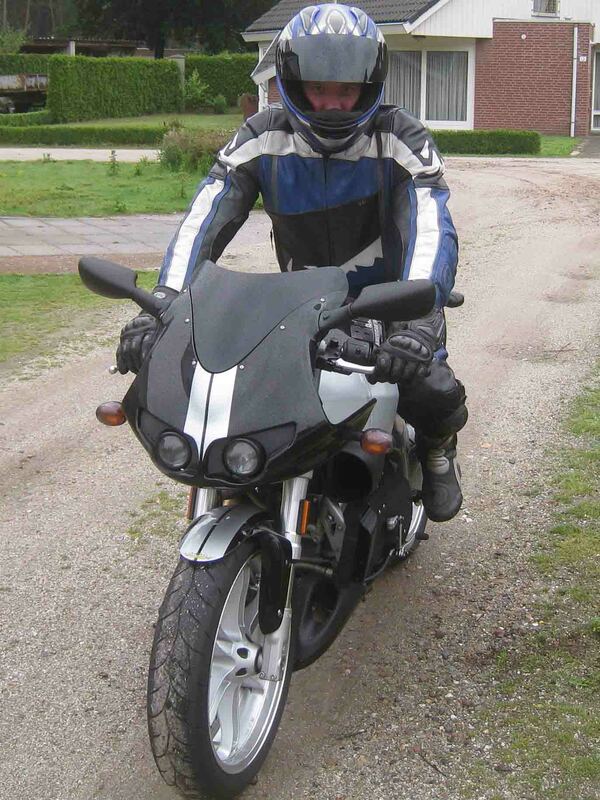 A nice dutch site on Suzuki GSX600F www.gsxfclub.nl, I'm member 1605. 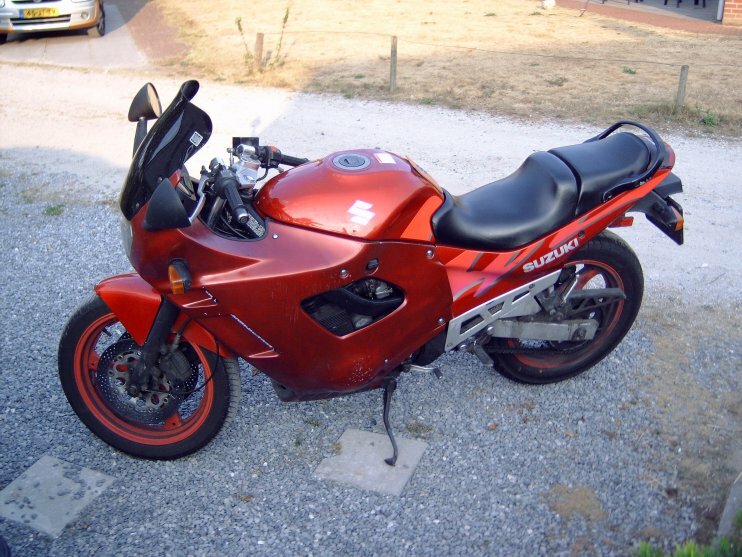 The engine of the old bike was taken into this bike because a new tyre front, chain and front suspension were needed. 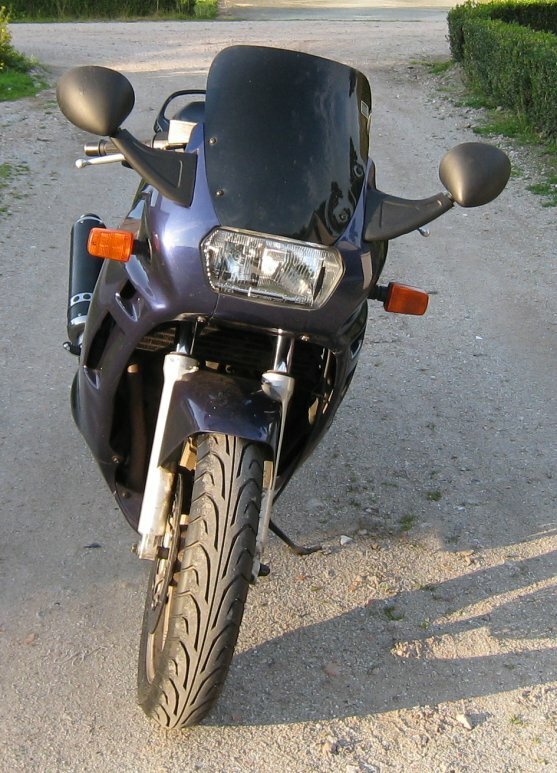 I took the old engine, put it on the new frame and I have a good bike again. Very nice steering bike, rough engine and shifting.